Most vehicles use two-wheel drive (2WD), where engine power is sent to only one pair of wheels. Many of today’s cars, minvans, and even some car-based crossover SUVs use front-wheel drive (FWD) because of its cost-effective, space-efficient design, thereby eliminating the need for an intrusive driveline hump that can dominate the foot space in the back seat. In slippery conditions, the FWD configuration benefits from weight balanced over the front wheels—used for both traction and steering. Rear-wheel drive (RWD) is commonly found on pickups and truck-based SUVs, as well as sports cars and high-performance sedans. For trucks, RWD allows the use of bulky, heavy-duty components, and it provides better traction with a heavy load. On a performance car, rear-wheel-drive improves handling by spreading the weight more evenly over the two axles and by reducing demand on the front wheels, allowing them to be used primarily for steering but RWD provides less traction on slippery roads. All cars and light duty trucks sold in the U.S. starting with the 2012 model year have electronic stability control, which along with traction control significantly improves winter driving, especially for RWD vehicles. Even so, we’ve found that all- and four-wheel-drive systems provide superior traction in slippery conditions. 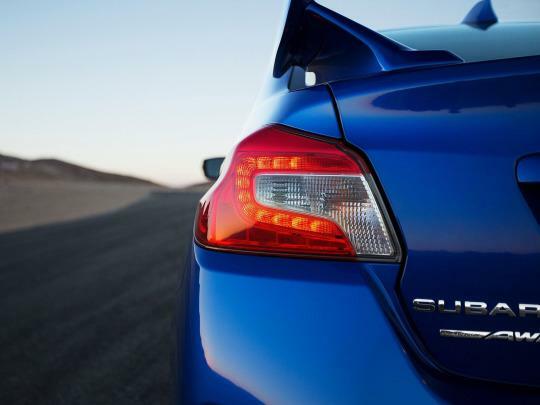 Like the name implies, all-wheel drive (AWD) feeds power to each corner. It provides maximum forward traction during acceleration; it is especially helpful in wintry conditions and when driving over moderate off-road terrain. Most AWD systems deliver power primarily to one set of wheels, front or rear; when slippage is detected, power is shifted to the wheels that have the most traction. AWD systems are especially helpful in rapidly changing conditions or when driving on a road with intermittent snow and ice. It is commonly used for most car-based SUVs, as well as many cars and minivans. 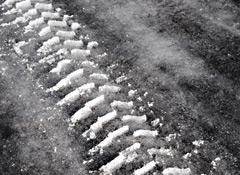 For rain and very light snow, 2WD will likely work fine, and for most vehicles, front-wheel drive is the preferred setup. (For performance cars, RWD is preferred, but AWD can increase traction and improve dry-weather handling.) AWD provides an added margin of road-holding ability when acceleration, especially in inclement weather. It’s fine for most normal snow conditions or for light-duty, off-pavement excursions. If you’ll be driving in severe snow or true off-road situations, or if you’re interested in pursuing off-roading as a hobby, you should opt for a vehicle with 4WD and lots of ground clearance. Keep in mind that both AWD and 4WD systems add considerable weight to a vehicle, compromising fuel economy. One of the reasons many people buy a traditional sport-utility vehicle is for the extra security and traction of four-wheel drive. Many drivers don’t realize the limitations of AWD and 4WD. Though having power delivered to all four wheels increases straight-line traction, it does nothing to improve braking over a 2WD systems, as all have four-wheel brakes. Drivers often make the mistake of using less caution when driving in slippery conditions with an AWD or 4WD vehicle, and they can pay the consequences by sliding off the road and even rolling over. Because the added traction of 4WD can allow a vehicle to accelerate more quickly in slippery conditions, drivers need to be more vigilant, not less. Slippery conditions demand extra caution, no matter what you drive. So which is best for gas efficiency AND snow?